D’ORO RAIN broke the track record in taking victory at Bathurst on Friday in the Benchmark 58 Handicap over 1400m, securing back-to-back wins on what was just her third career start. The three-year-old filly by Medaglia D’Oro jumped smartly and led the chasing pack behind runaway leader Winterconi, but quickly picked her up when asked for an effort by leading Queensland jockey Tegan Harrison, before going on for a convincing one-and-a-half length success. D’Oro Rain stopped the clock at 1.21.3, to break the track record by three-tenths of a second for the 1400m at Bathurst. 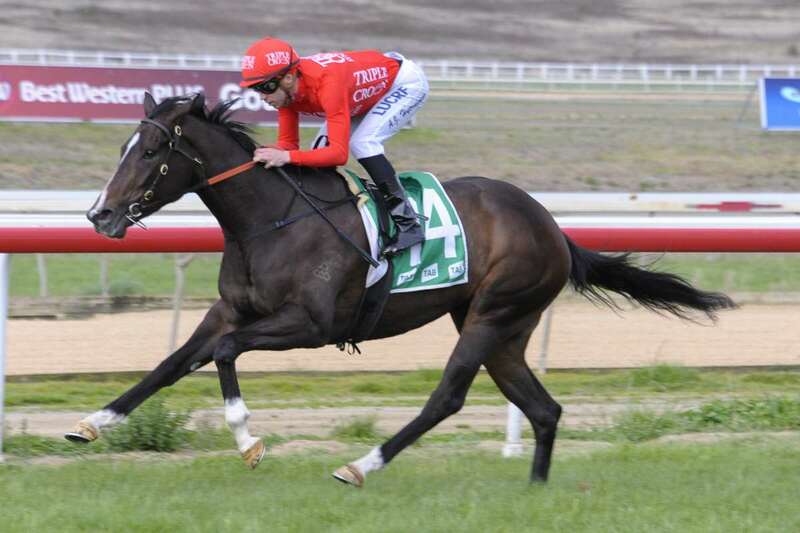 The win was her second in succession after she demolished a field at Goulburn on October 9 by four and a quarter lengths over 1200m and she took the step up to 7 furlongs in her stride. Out of British bred mare Compton Rainbow, D’Oro Rain is out of a half-sister to Melbourne Cup placegetter, Mahler. ← Syndication: Accessible, affordable, successful!